Hello globetrotters! This past weekend I enjoyed the Most relaxing weekend escape here in Oman just outside of Muscat at the Shangri-La Barr Al Jissah Resort & Spa Oman. 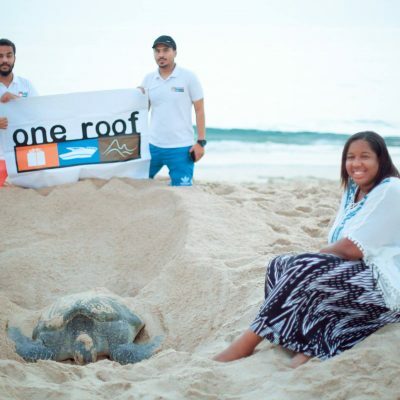 The resort is located about 15-20 minutes outside of the city center of Muscat. 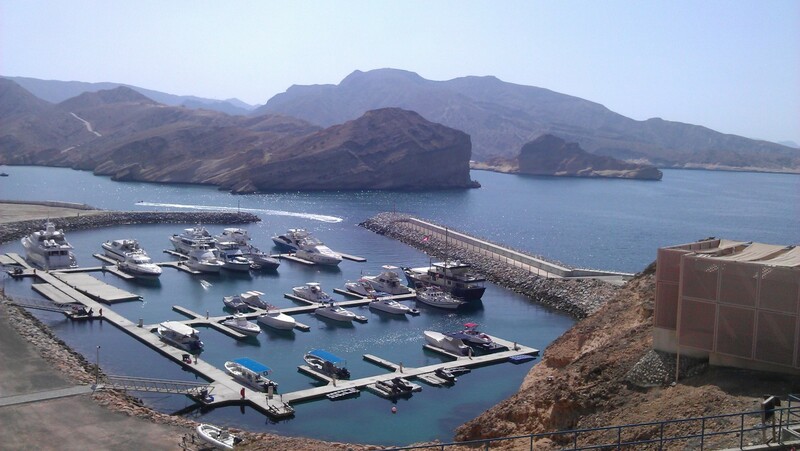 The drive through the rustic mountain side is so serene and relaxing, with the Gulf of Oman, ports and a dive center right next to the oasis which is the Shangr-La Barr Al Jissah Resort & Spa. The Gorgeous Shangri-La Barr Al Jissah Resort & Spa. 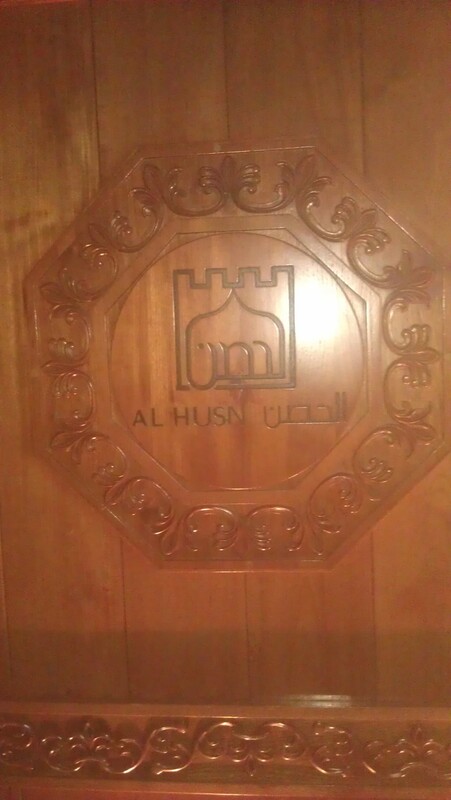 Upon entry, we were greeted with a warm welcome from the hotel staff into the opulent lobby of the Al Husn Hotel. 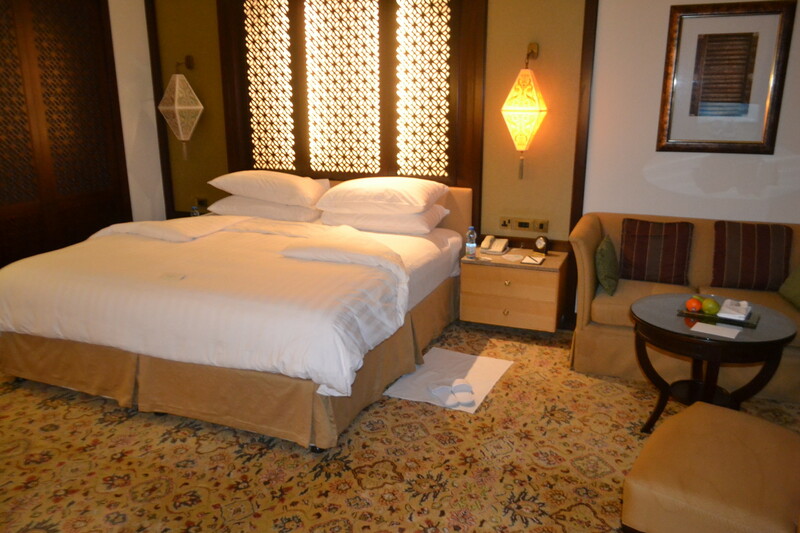 This hotel is adorned in opulent luxury with a magnificent wooden Omani door at the main entrance, as well as stunning artwork and chandeliers. The resort consists of three different hotels and Al Husn is the most luxurious of them all (even though they all are Fabulous). 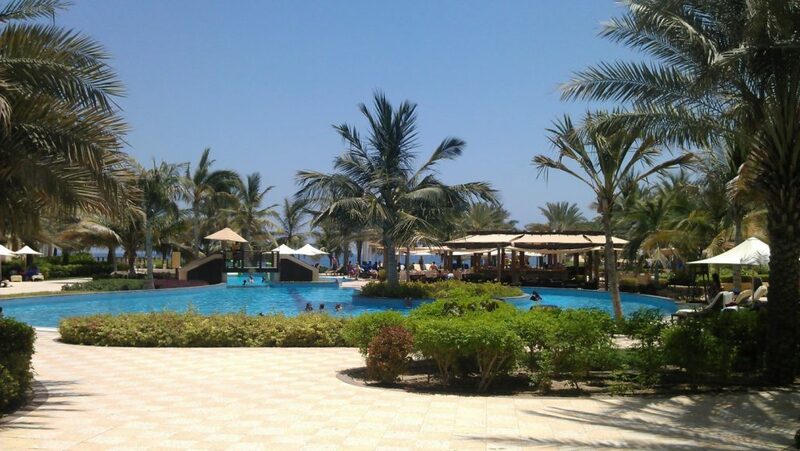 The Al Waha Hotel which means “The Oasis” is surrounded by several swimming pools and date palm trees which are an Omani staple apoteketgenerisk.com. The location is a favorite amongst guests with children and large families. 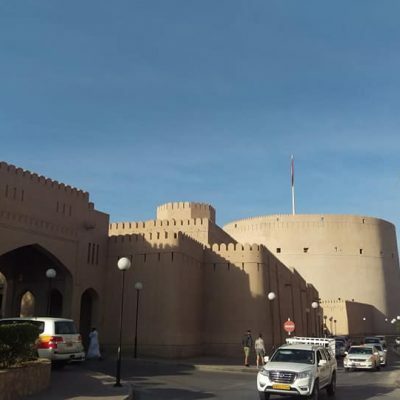 The Al Bandar Hotel is a 5 star retreat that translates to “The Town.” The architecture of the hotel reflects aspects of the old Muscat region and offers loads of dining and beverage options for guests. 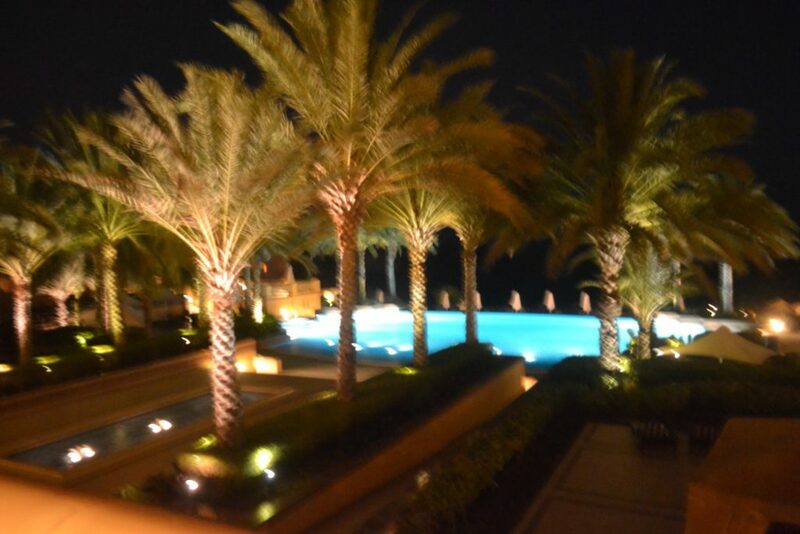 Pool at the Al Bandar Hotel. The reservations manager escorted us to our room and explained details of the amenities that Al Husn offers, such as breakfast servings times from 6:30am to 11:00am, the complimentary afternoon tea which is served daily and the pre-dinner drinks that are served from 6pm to 7pm in the Al Husn Lobby Terrace. 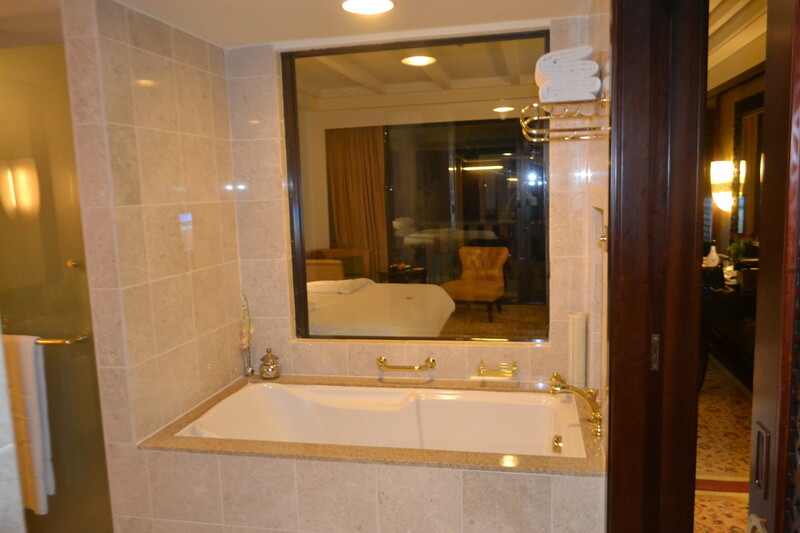 Upon entry of the suite I was pleasantly delighted by the amazing full length deep seat bathtub, the window that opens from the bath area to the bedroom and then the fantastic view of the infinity pool and beach. 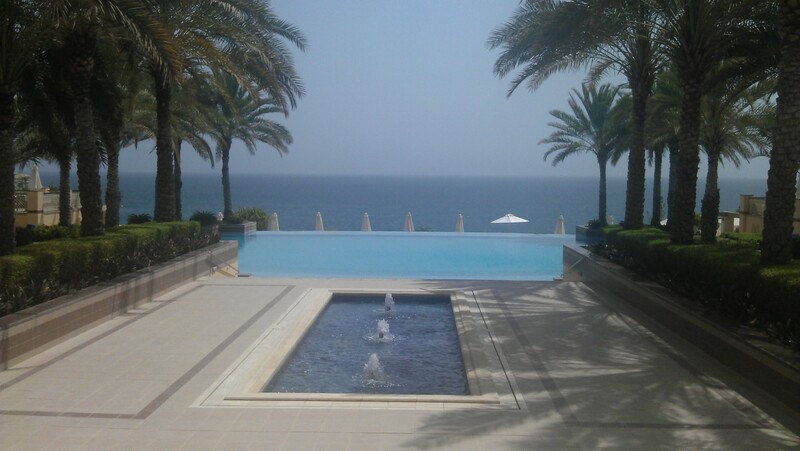 It really doesn’t get much better than that at a 5 star resort such as Shangri-La Oman ;-). What is there not to love about this. View from the balcony. Not bad at all :-). After taking a rest the first night in the comfortable bed with down bedding and huge cozy pillows, it was nice to wake up to the day view of this fabulous pool and the beach out front. I couldn’t wait to dine on the full course buffet breakfast so I could head to the pool for a dip afterwards. 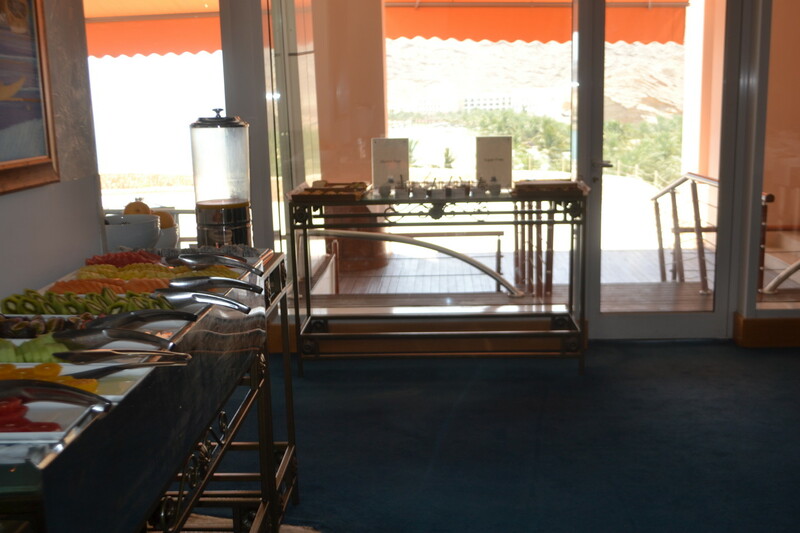 The spread was great with options for various backgrounds including sushi, cold cuts, loads of breads, fruits and a salad bar. 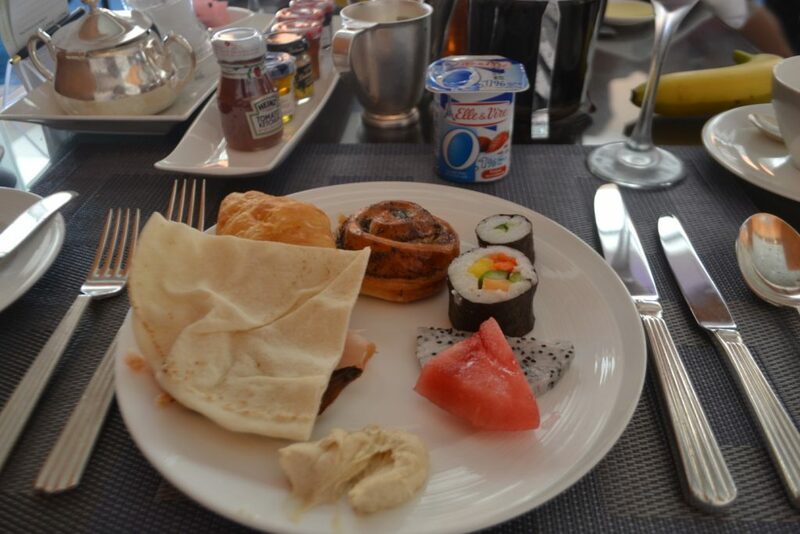 If you would like some of the traditional continental breakfast options like an omelette, eggs Benedict or pancakes, this has to be ordered off of the a la carte menu, but no worries these were included in the complimentary buffet prices. 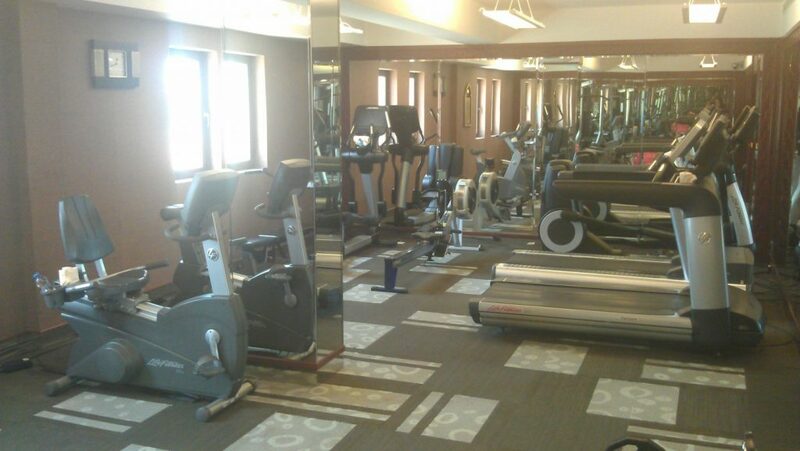 Additional hotel amenities that Al Husn offers include a fully equipped private gym which is open 24 hours (fully stocked with towels and bottled water), which is located next to the Hospitality Lounge; complimentary items (excluding alcohol) in the private room mini bar; complimentary wireless internet access, with the option to borrow a laptop upon request and an iPod is available upon request to be used in the docking station provided in the rooms. Yes, they thought of Everything. The resort also offers 21 dining options including lounges and bars. 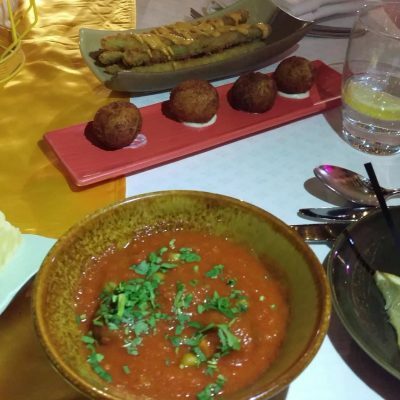 We dined at the Sultanah the first night and the Italian restaurant the Capri Court the following night, capping the evening with some time at the Piano Lounge (restaurant reviews coming soon). 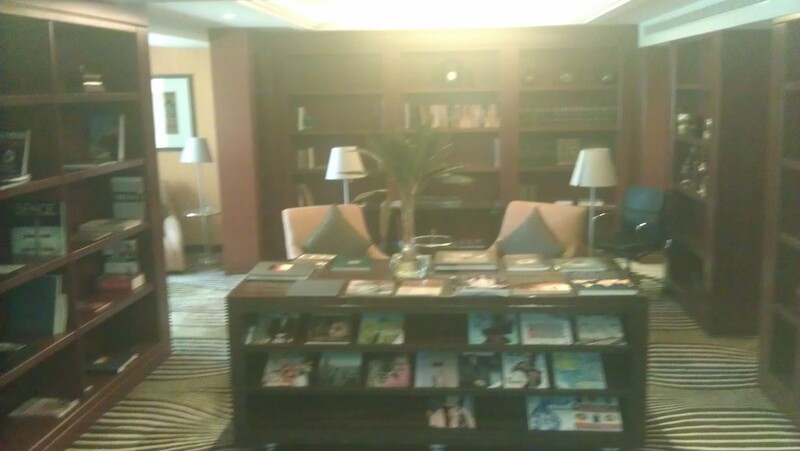 Relaxing library/lounge with numerous books and magazines available in various languages. 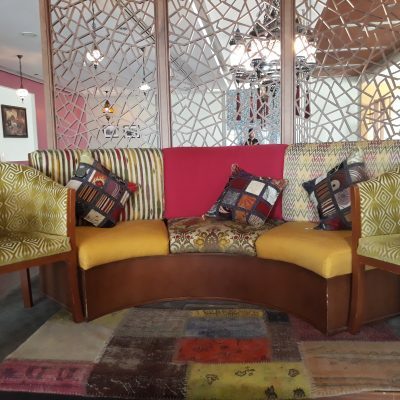 If unwinding by the pool/beach area or working your muscles at the gym are not enough, the Al Bandar hotel which is nearby, connected to the Al Husn hotel via a walkway, offers plenty of services such as facials, massages and more at Chi, the Spa. 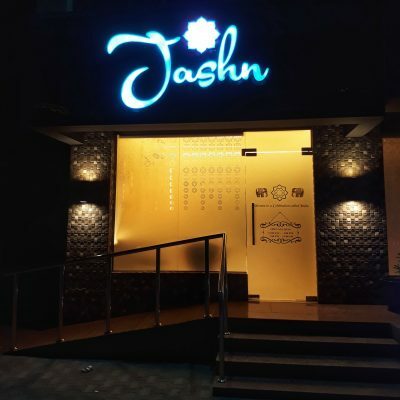 While I didn’t get a chance to delight upon these services this time around, I have visited this beautiful full service spa in the past and it comes highly recommended. They are currently running summer specials so it’s totally worth a trek to this amazing resort to utilize these facilities. 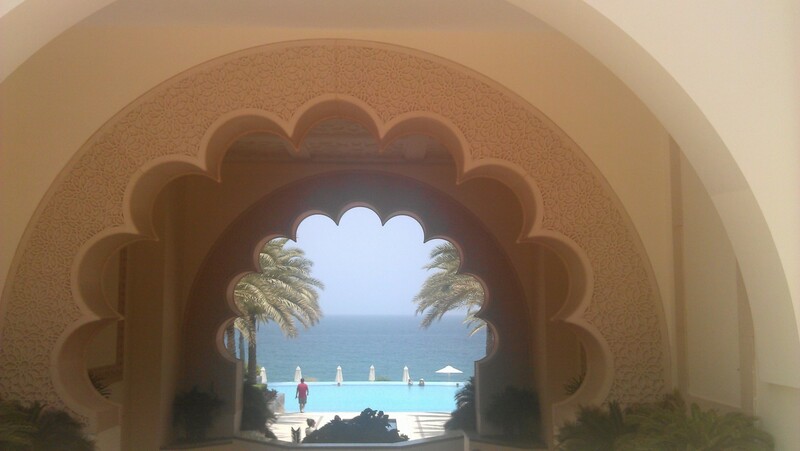 I honestly can’t recommend the Shangri-La Barr Al Jissah Resort & Spa enough while trotting to the Sultanate of Oman. It is the Ultimate luxury experience in this amazingly beautiful country. The waterfall at the bottom of the infinity pool was Everything. Can you say FB cover page!! This memory will be forever engrained in my mind :-). OK! This looks like where I need to be at least once a quarter. These pictures are great. It looks a like a great vacation spot for the hubby and I! I saw your pool pic on Facebook! Amazing! I love a full service hotel with a spa! Also appreciate complimentary wifi and adore afternoon tea! WOW! that pool photo had my jaw dropping! I’m going to have to put this one on my travel bucket list! Great post. 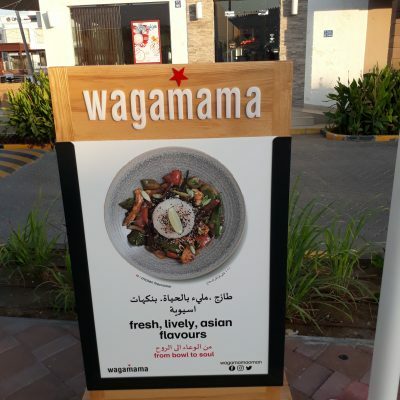 I’m hearing of more and more people traveling to Oman. Good to know! Thanks!! OMG what a stunning place! I love the room you were staying in! I have sadly not traveled out of the US YET, but this place looks breathtaking! It’s official I have to become a travel blogger. I am so jelly right now. I am adding travel blogger to my vision board. I saw that first pic on Insta and thought ‘man, that looks like a great getaway spot.’ Seems I was totally right! You had me at Afternoon Tea! This property looks lovely….I certainly would not have wanted to leave! This is going on the list of places to visit. I love how they’ve thought of everything, even a laptop if you need to send off a few emails. Is there any alcohol onsite? I’m guessing in the Piano bar but just making sure. That resort is EVERYTHANG!!! I loved the room. I need to make use of my passport and get there! Great review! Absolutely. Breathtaking. I am working on getting my Passport just so I can start to explore and create memories in places just like this!